Since 2014, 2B Well has been the realization of owner Brandy Hickman’s dream: to bring integrative health experts under one roof to provide the highest level of care and information to the community. 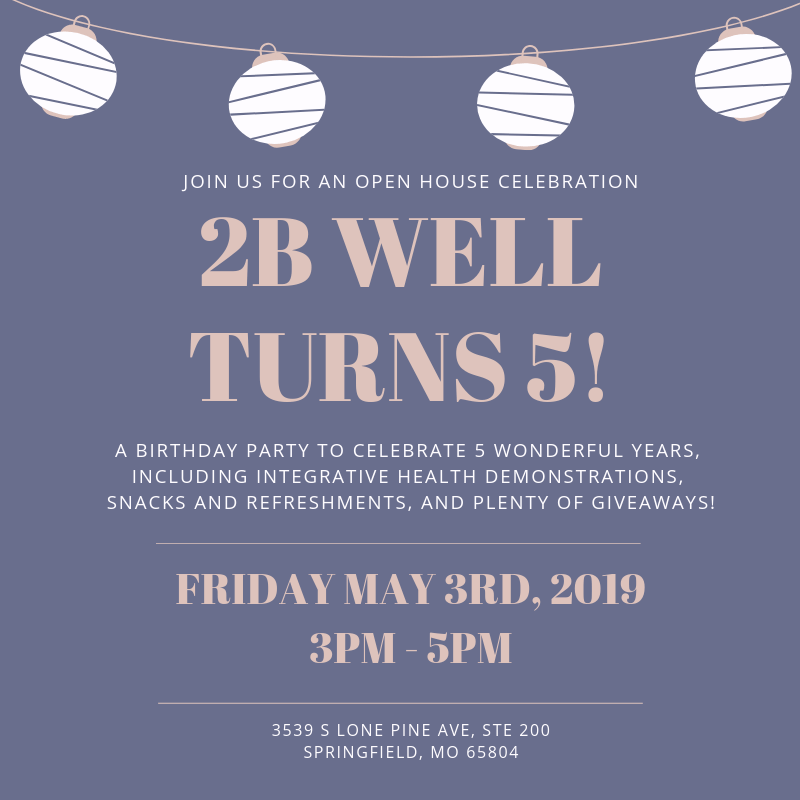 To celebrate, 2B Well is hosting an open house with refreshments, giveaways, and health demonstrations by our current providers. Join us to learn more about our center and to connect with likeminded clients and providers. There will be plenty of giveaways for all of our services, so don’t miss out! Be sure to invite your friends and family to celebrate Springfield’s premier health and wellness resource! Would you like to receive email updates from 2B Well?